Large crescent motifs give a sweet romance to a solitaire engagement ring setting, with beautiful diamond accents for special surprise detail from every angle. 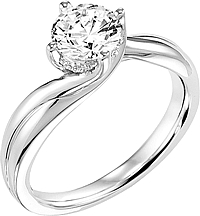 Most elegant, stunning solitaire I have ever seen. 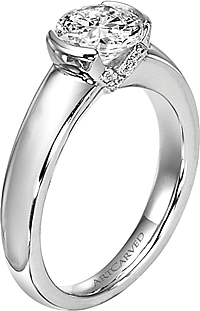 The details on this ring is unmatched, and there's a finesse about the way Tacori makes their rings that is unrivaled. I've received so many compliments on it, and I am overjoyed my fiance gave me this amazing piece of art!